As human beings, we know that sometimes people drink primarily to get drunk. And depending on how you feel about alcohol, that can be fine or it can be not so fine. But for brands who sell alcoholic beverages, touting the intoxicating effects of their wares is typically seen as a slippery slope, and usually discussion of strength of ABV isn’t put front and center. 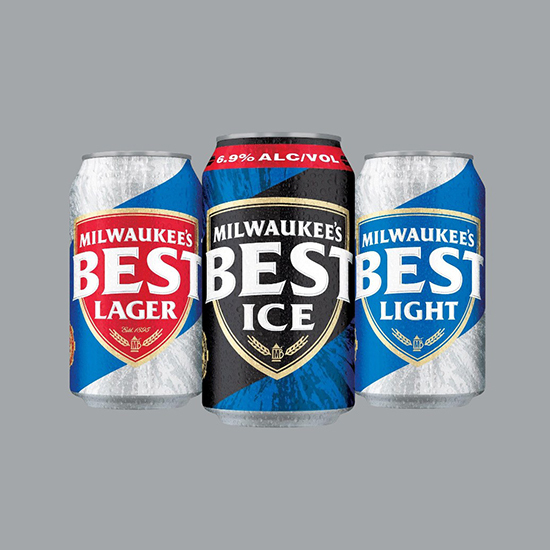 So some people have been surprised at new billboards for beer brand Milwaukee’s Best Ice that have popped up on freeways in Wisconsin. “Milwaukee's Best Ice now 6.9% ALC/VOL,” the ads says alongside a photo featuring cans of Milwaukee’s Best’s product line. And that’s it. It’s a straightforward message; maybe a little too straightforward some think. Of course, everyone’s true intentions probably lay somewhere in the middle. What’s the point of MillerCoors going through the trouble of jacking up the beer’s ABV if nobody knows about it? But at the same time, billboard’s reading “Go get extra blitzed!” are out of the question. So they advertised the change the best they can. How you feel about that is up to you. Though the good news is if you’re not too keen on the concept, you’re probably not the kind of person who’ll be buying Milwaukee’s Best regardless.